Magic has been in a sad state in the Ununited Kingdom for years, but now it’s finally on the rise, and boneheaded King Snodd IV knows it. If he succeeds at his plot, the very future of magic will be at risk! Sensible sixteen-year-old Jennifer Strange, acting manager of Kazam Mystical Arts Management and its unpredictable crew of sorcerers, has little chance against the king and his cronies—but there’s no way Kazam will let go of the noble powers of magic without a fight. 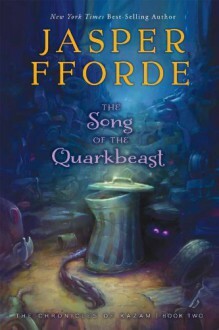 A suspenseful, satirical story of Quarkbeasts, trolls, and wizidrical crackle!